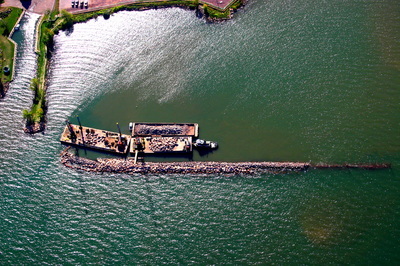 The breakwater is part of a national Superfund site. 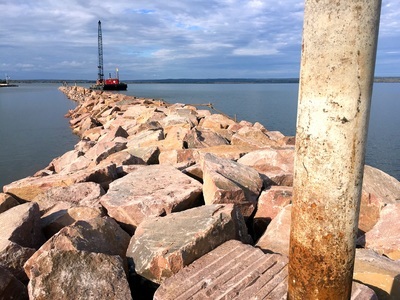 It is designed to protect the site from weather in order to facilitate future environmental dredging, and will then become a suitable property for a resort or marina basin. 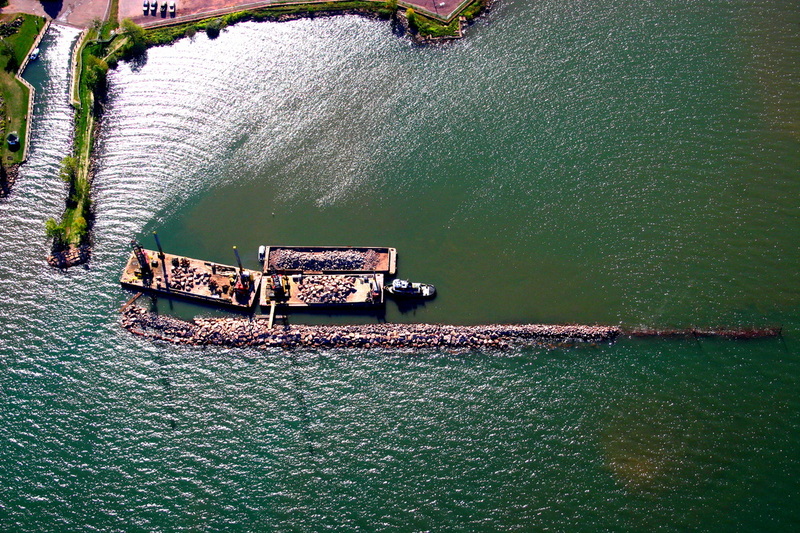 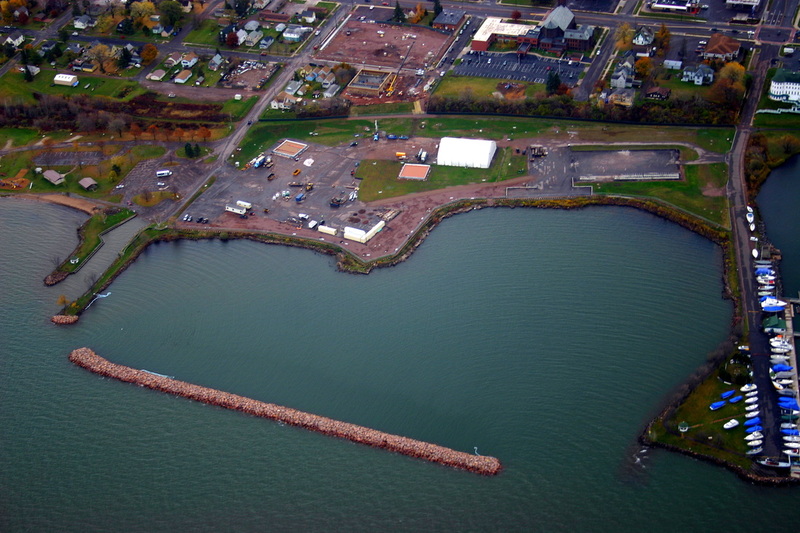 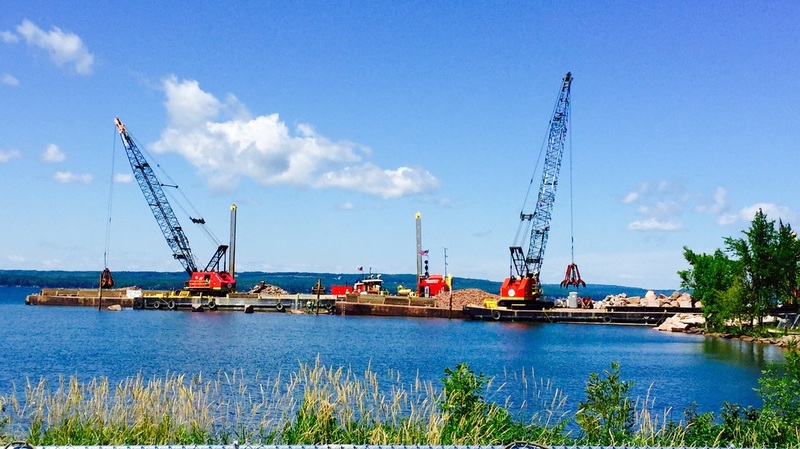 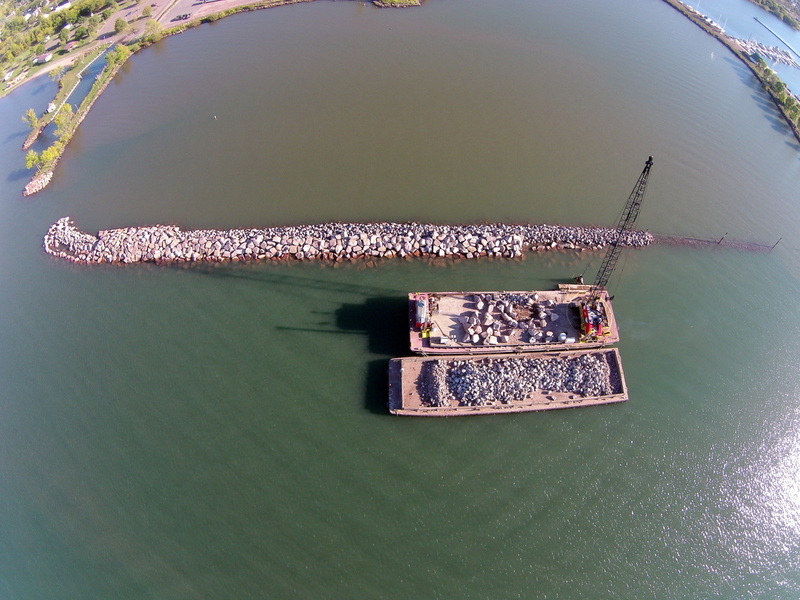 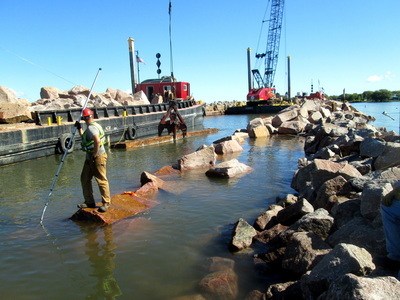 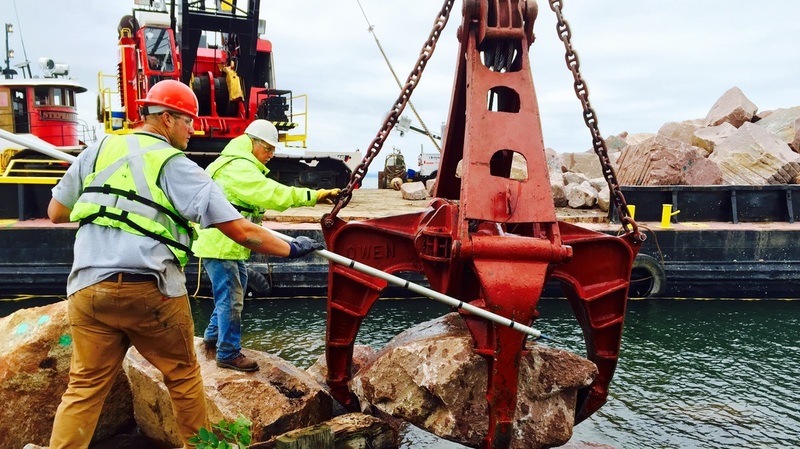 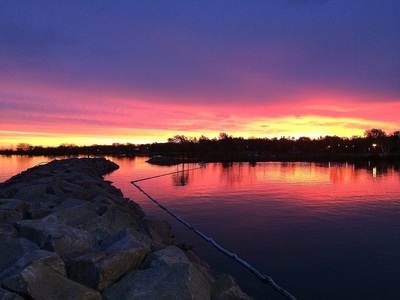 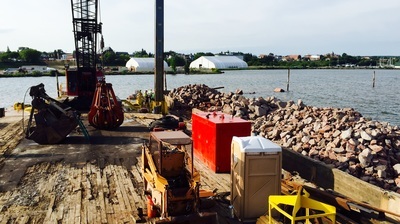 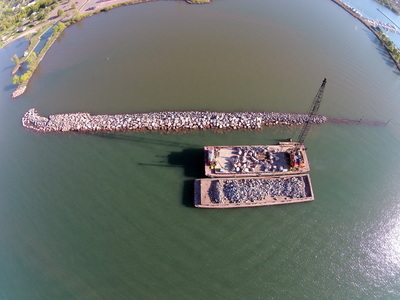 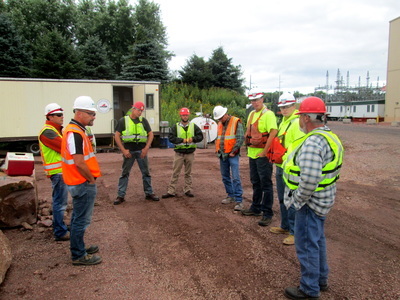 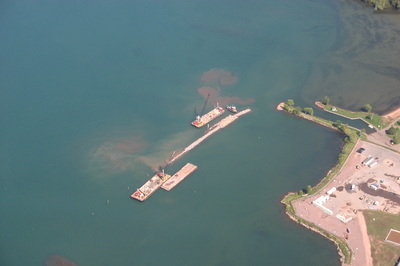 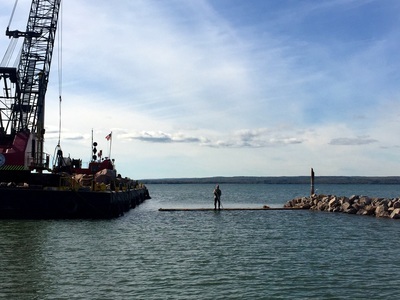 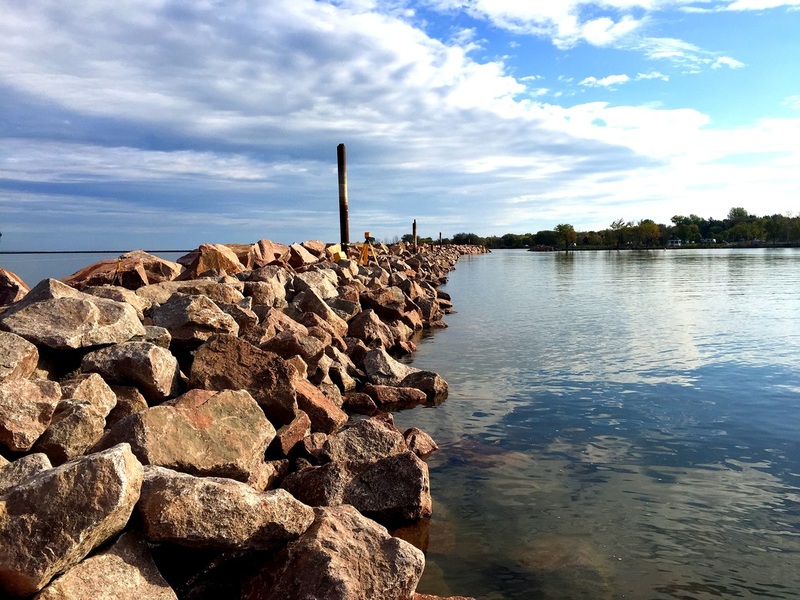 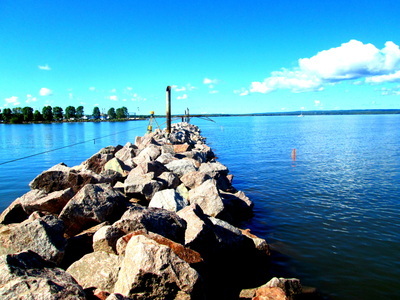 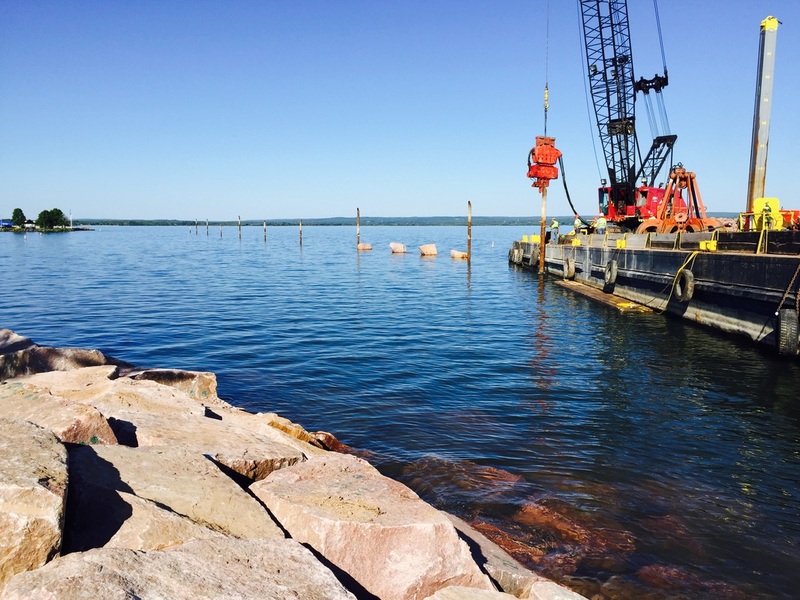 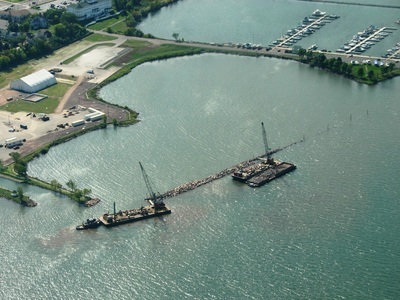 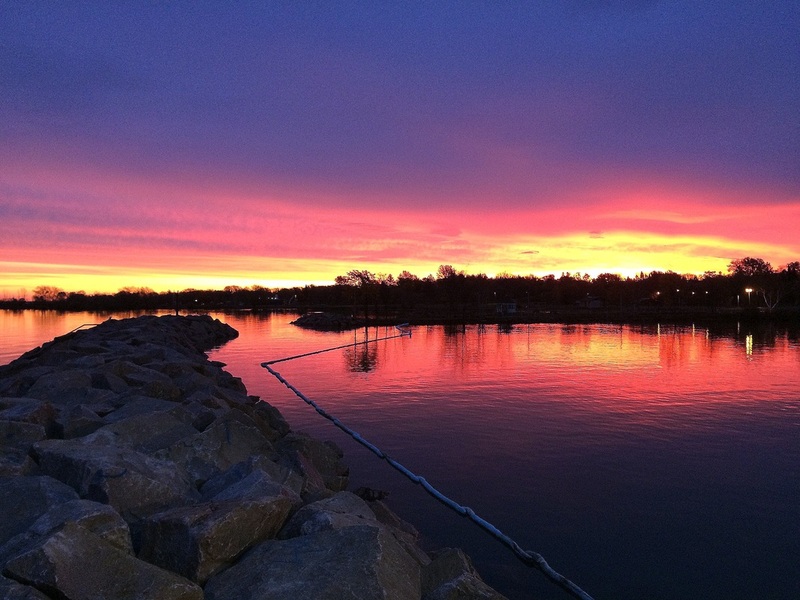 The contract for the Baird-designed breakwater was managed by the Foth/Envirocon Joint Venture.